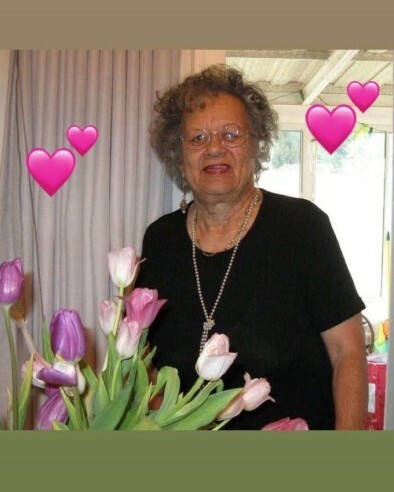 With great sadness, on April 4, 2019 Gloria LaBeauve Maney passed away peacefully in Alameda, CA after a short illness. Gloria was affectionately known as “Glo“, "Aunt Glo”, “Nanny” and “Grandma” by her numerous family and friends. She was loved by all who knew her and was a stranger to no one. Gloria was born and raised in New Orleans, LA. She grew up in a loving home and was the youngest of four children of Charles and Beulah LaBeauve. She had a large extended family that gathered often for lively family events. She attended St. Joan of Arc elementary school, and graduated from St. Marys High School in New Orleans, LA. She went on to attend Business School where she met her future husband John S.E. Maney Sr. They married on November 18, 1950. While still in New Orleans Gloria worked at Flint Goodrich Hospital. Her husband was enlisted in the U.S. Navy and through his many years of service they traveled and lived in many places including Florida, Connecticut, Massachusetts, Illinois and California. She was such a loving and friendly person she was able to make many friends along the way. While her husband was out to sea, Gloria spent the early years of her children’s lives as a nurturing and supportive stay at home mom. Finally upon his retirement from the military in 1965 they settled in Alameda. Although living in California, Gloria returned “home” to New Orleans every year or two for holidays, family events and especially Mardi Gras. In 1967 Gloria landed a job at Kaiser Permanente Medical Center in Oakland, CA. She worked there as a Medical Receptionist and was eventually promoted to Sr. Medical Receptionist. She was well liked and highly admired by her coworkers, medical staff, and patients. She retired at the age of 65 but she enjoyed her work there so much that she returned to work and retired for a second time at the age of 72. Throughout her life, Gloria was dedicated to her family and friends and loved spending time with them. She was an avid sports fan, which began with her days as a Little League mom. She was always ready to watch a game and root for her favorite teams the Oakland Athletics, Golden State Warriors, New Orleans Saints and Oakland Raiders. She was a former board member of the local AARP, a member of the Gold Star Wives, Catholic Daughters, and a former member of the Oakland Athletics Booster Club. To carry on their New Orleans social culture, together with her husband and close friends also New Orleans natives, they formed The Bon Temps Social Club (Let The Good Times Roll) and enjoyed many successful and fun-filled events. Gloria is survived by her loving children, Darryl C. Maney, Sr. (Virgie), Charlotte Maney Triggs, and Charlene Maney Spinola (Clifford). She is also survived by her cherished 9 grandchildren, Manuel, Antonio, Darryl II, John III, Robert, Jonathan, Elizabeth, Kimberly, and Sarahbeth and her adored 6 great grandchildren, Liliana, Aurora, John IV, Logan, Donte, Rosalyn and her beloved brother, Clifford LaBeauve, and numerous nieces, nephews and a host of other relatives and friends. Gloria was preceded in death by her husband John S.E. Maney Sr., son, John S.E. Maney Jr., brother Charles LaBeauve, sister Katherine Charlot and son-in-law Jonathan Triggs, Sr. The family would like to thank the staff at Park Bridge Rehabilitation and Wellness Center for their excellent and compassionate care of our beloved Gloria. 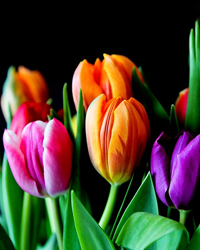 A memorial service will be held on Saturday, April 20, 2019 at 11:00am at Greer Family Mortuary, 2694 Blanding Avenue, Alameda, CA 94501.